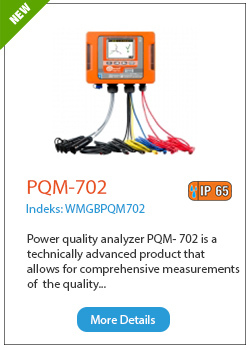 Power quality analyzer PQM- 703 is a technically advanced product that allows for comprehensive measurements of the quality of electricity , analysis and recording of power network parameters, for frequencies 50/60 Hz in accordance with European standard EN 50160. 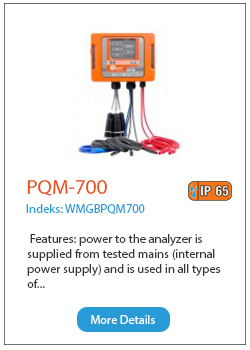 PQM -703 is another representative of a well, known family of analyzers line PQM- 70x . 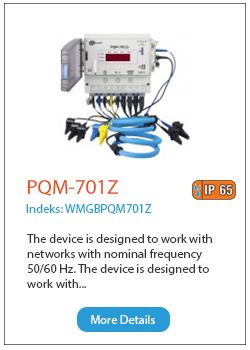 In relation to the PQM -702 has new functions like recording of transients with max. sampling frequency 10 MHz (rapid changes in voltage) and control signals. Minimal transient capturing time is 650 ns. It is intended for a very wide range of users who need to control the quality of power with a mobile device , which fulfills the requirements of a multi-sheet standard IEC 61000 for class A analyzers. 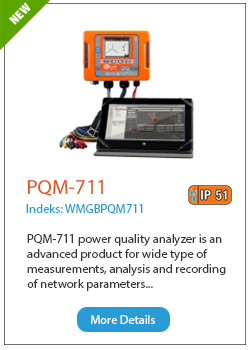 This applies to measurement accuracy, measurement methods, and synchronization of time with a standard signal. The last condition is met with a built-in GPS module with an internal antenna. 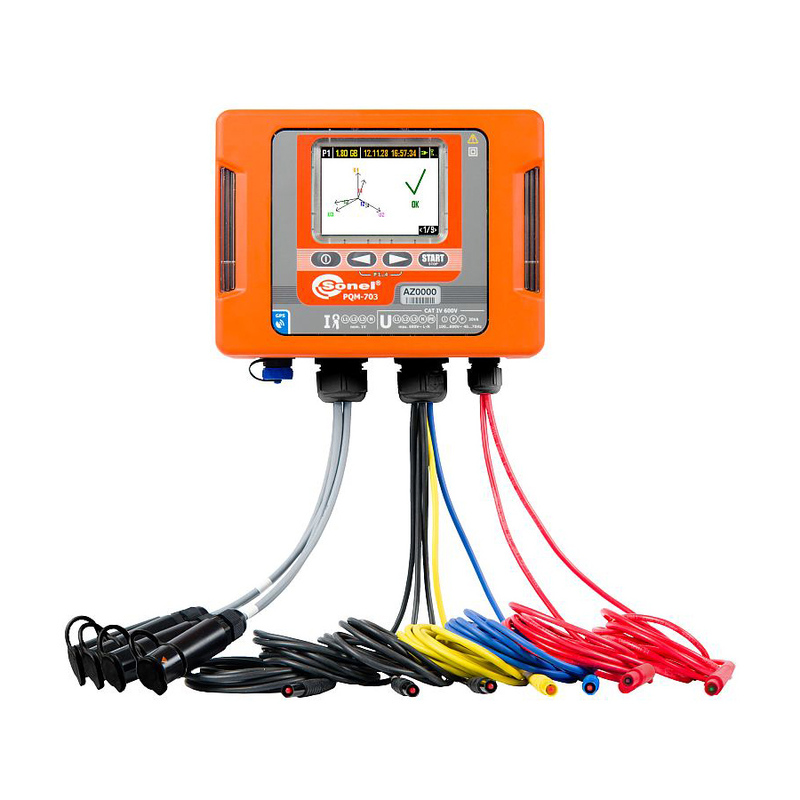 If the analyzer is installed inside, it is possible to use an additional antenna with a 10m-long wire. If the antenna is situated outside, GPS signal will be attainable without any problems and used for the synchronization of an internal clock. 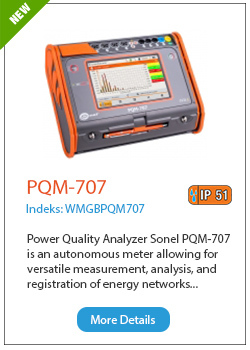 Thanks to these features PQM -703 can be used in power engineering and maintenance services fields for industrial plants , as well as by persons providing services in the power network analysis field. All parameters meet Class A acc. 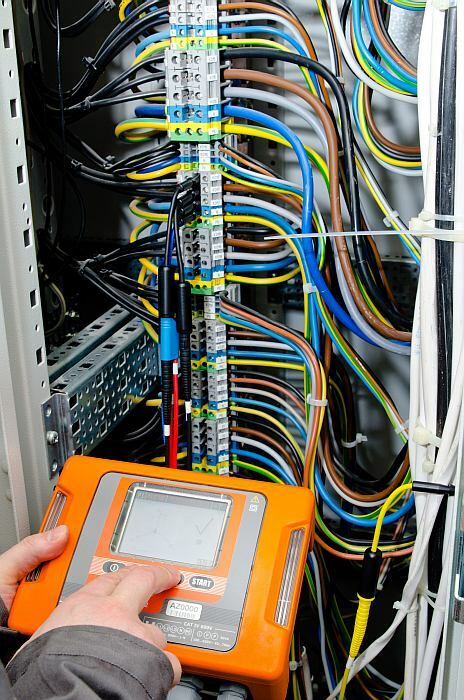 IEC 61000-4-30 standard. (≤3,6 Inom) 0,01 ± 5% m.v.